Horseback rides to antique motorcycles to snowboarding jumps, Maggie Valley will keep you moving. 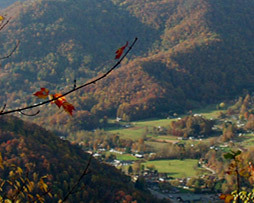 The central location in the heart of the Smokies makes all the activities in the mountains within your reach. 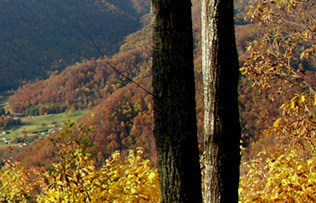 The Great Smoky Mountains National Park and the Blue Ridge Parkway are both at our doorstep. Thousands of miles of high country trails and adventure await you. The surrounding National Forests also offer many choices for exploring the wonderful setting that makes up the Smokies. Waterfalls and vistas abound. Mountain golf is played in the highlands of Maggie Valley, the perfect setting for this unique style of golf. Here, lush fairways are surrounded by endless mountain vistas, and spectacular scenery greets you around every dogleg. It's like no other game you've ever played, in an area unlike any other. These are the elements that add life to the great game we call "Great Smoky Mountain Golf." When you visit Maggie Valley, North Carolina you're conveniently located near the largest attractions in the Great Smoky Mountains. Stay a couple of days or a couple of weeks, there is always something to do when you're in Maggie Valley, in the Heart of the Great Smoky Mountains.